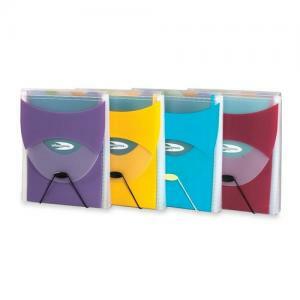 Vertically-oriented file features a wide opening for letter-size documents and closes securely with a bungee strap. Made of durable poly. File fits easily into backpacks and lockers.